If yes, what's your budget? 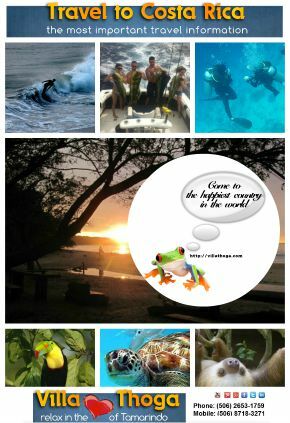 Why choose us for Tamarindo Costa Rica fishing trips? Of course you can do it yourself. But, who wants to save time and money, can let us do the hard work. Tell us which boat you prefer (boat size) for your sport fishing Tamarindo tour. We’ll make you an offer for two boats. So you can select the boat that fit your needs best. We take care that you get the best fishing charters in Tamarindo Costa Rica. And i promise you, after your fishing trip in Tamarindo, you will understand why Playa Tamarindo is one of the main sports fishing destination in Costa Rica. 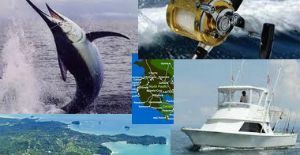 Tamarindo is close to deep water and highly productive fishing grounds making the town one of the best places in Costa Rica for sport fishing. A boat doesn’t has to run more than 45 minutes to reach the deep water. 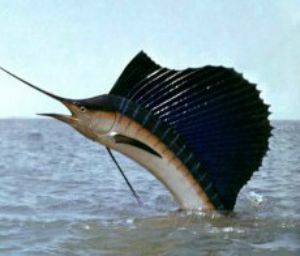 A large variety of different fishes like Wahoo, Dorado, Marlin, Sail, Yellowfin Tuna and other species are waiting you. From inshore fishing (Red Snapper or Grouper) to offshore fishing (Marlin, Sail) this area is favorite fishing destination for thousands of anglers year around. And the variety of species let us offer a wide variety of fishing to our clients. From experienced fisherman to a guy who never held a fishing rod in their hands. Our Tamarindo fishing charters also accommodates the preferences of the veteran fisherman. Finest tackle and equipment. Fantastic fishing experience with Captain Pit and Chalupa, the best deckhand I've been around. They worked very hard for us to find the fish and when they did--it was amazing! They provided delicious snacks and numerous beverage choices as well as serving a great lunch. And to help us make an even better memory, Chalupa jumped into the water with our GoPro to film my husbands catch underwater...absolutely awesome! You will not be disappointed with your fishing trip! Pete and Luis work their tails off to make the best trip possible. The wind blew heard and the seas were rough. However, their 28' Carolina Classic is the best riding boat under 32' I have been on. Today the fish were tough to hook but we raised 6 sailfish, landed two sailfish, and landed and released a 300+ pound blue marlin!! who could ask for more. Will be going with them again next year! My boyfriend booked a 3/4 day while we were traveling in Costa Rica together this past March. This was my first time fishing, but he's an avid fisherman, and I can tell you now that this fishing trip was one of the best parts of our vacation. Steve, the owner, met us on the beach before we took off and is a very friendly, down to earth guy. Manuel and Cheyenne are amazing - they truly make the experience out on the water. Not only were they incredibly friendly and helpful (especially considering I didn't even know what I had gotten myself into). We were also provided with food and beverages (all homemade by Steve and his wife)! We caught a total of 3 sailfish and a mahi (which we took to a local restaurant and had cooked up for dinner that night). I highly recommend Capullo if you're looking to do sport fishing while you're in Tamarindo - you won't regret it! This was my first time fishing and it hasn't been my last.